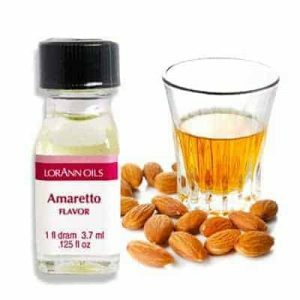 The flavorings you will find in our “Super Strength” line of candy oils include natural food-grade essential oils (such as Peppermint Oil), flavors made with natural ingredients (such as Pear, natural), and artificial flavors (such as Bubblegum). 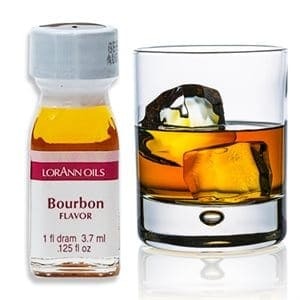 Oh, and by-the-way, even though these concentrated flavorings are popularly known as “candy oils” – they are not flavors in a base of vegetable oil. Add vibrant flavor to your candies and baked goods! 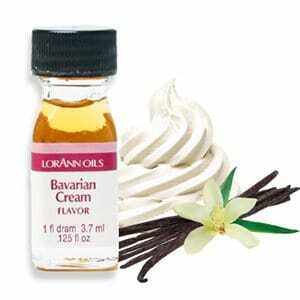 Unlike diluted grocery store extracts, LorAnn's extra-strong flavorings are concentrated - "A little goes a long way!" 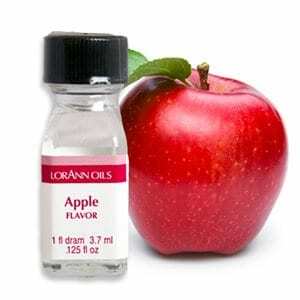 Bring the smell of homemade apple pie to your house when you use our Super Strength Apple Flavor in your kitchen creations. 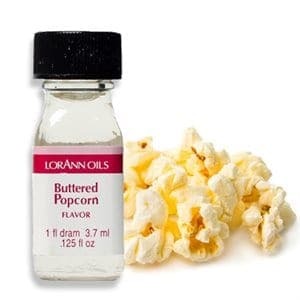 This versatile flavor is a great addition to baked goods and candies. Add vibrant flavor to your candies and baked goods! 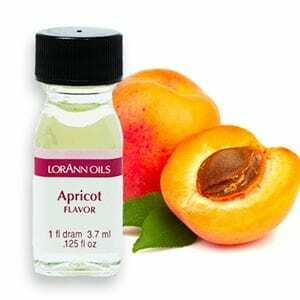 Unlike diluted grocery store extracts, LorAnn's extra-strong flavorings are concentrated - "A little goes a long way!" Add vibrant flavor to your candies and baked goods! 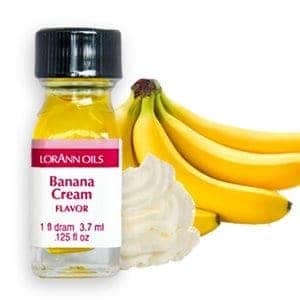 Unlike diluted grocery store extracts, LorAnn's extra-strong flavorings are concentrated - "A little goes a long way!" Think of family picnics with homemade blueberry pies or breakfasts with blueberry pancakes or muffins. 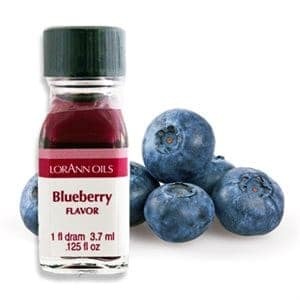 Add our Blueberry, Natural flavor (also referred to as candy flavouring oil) to other family favourites. 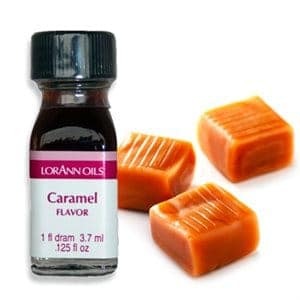 Add vibrant flavor to your candies and baked goods! 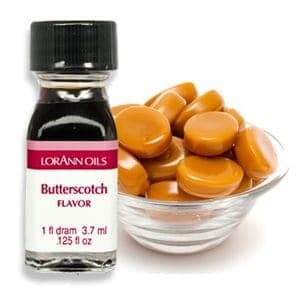 Unlike diluted grocery store extracts, LorAnn's extra-strong flavourings are concentrated - "A little goes a long way!" 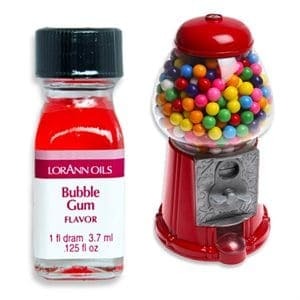 Bubble Gum flavor, (also known as candy flavouring oil) is a fun flavor that is popular with kids. Bubble Gum flavoured candy will have you wanting to blow bubbles.